Supermodel-turned-businesswoman Iman, founder and CEO of Iman Cosmetics, is the featured Power Player on this week’s edition of the Black Enterprise Business Report, hosted by Caroline V. Clarke. Reigning for decades as one of the world’s most beautiful women, Iman has demonstrated that she is a savvy entrepreneur with a sharp mind for business, helping to set the pace for supermodels pursuing second careers as entrepreneurs. Launched in 1994, the IMAN brand (ImanCosmetics.com) was an instant hit, with retail sales of approximately $20 million. Three years after its launch, the brand went international, selling an additional $10 million in the United Kingdom, Canada, and France in 1997. Since then, distribution has been extended to Brazil, Africa, and the Caribbean. After nearly two decades in business, Iman continues to find new ways to extend her distinctive brand of world-class beauty and razor-sharp business instincts, most recently as co-host, along with designer Isaac Mizrahi, of The Fashion Show Ultimate Collection, a reality television show featuring competing designers on Bravo TV. Also this week, Black Enterprise Editor-In-Chief Derek T. Dingle sits down for an exclusive interview with President Barack Obama’s Treasury Secretary Timothy Geithner, to discuss his strategy to get banks to lend money to small businesses again. In addition, in our Wealth for Life segment, we share the experience of Milwaukee small business owner Lydia Hamilton-Monnie, who walks us through the process of a new potential source of small business capital–person-to-person online lending. Hamilton-Monnie owns the fashion retail outlet Boutique Larrieux. And in our Executive Style segment, we layout the essentials for entertaining guests at your next intimate dinner party. Black Enterprise Business Report is the award-winning weekly, half-hour program offering a mix of one-on-one Power Player interviews with top Black corporate executives, Wealth for Life discussions on personal finance, Entrepreneur of the Week profiles of successful small business owners, Quick Tips providing actionable advice from top business leaders, and Executive Style featuring the hottest lifestyle trends and luxury living for today’s consumer. 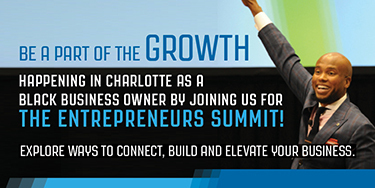 Click here for times and stations where the Black Enterprise Business Report airs in your area.